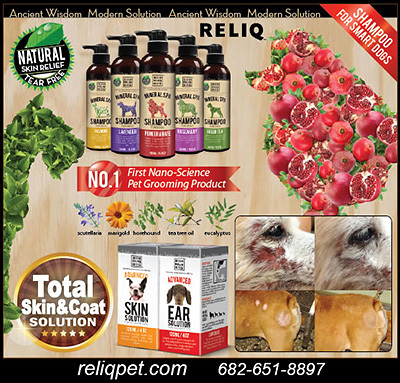 Reliq Pet the Nano Technology Shampoo Products! Bathing products for dogs include information on the most effective, affordable and healthy dog shampoos, conditioners, detanglers for your dog and more. Keeping your dog clean with effective, affordable and high quality shampoos and conditioners can help your dog to more effectively deal with hot spots, and skin irritations. Make sure your shampoos have natural effective ingredients that promote more healthy coat and skin for the dogs you love.